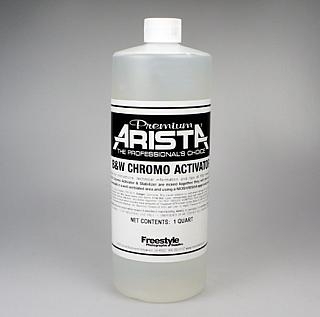 >Arista Premium BW Chromo Activator for Chromoskedasic Sabattier Process - 32 oz. Arista Premium BW Chromo Activator for Chromoskedasic Sabattier Process - 32 oz. The history of the process called Chromoskedasic Sabattier starts with Dominic Man-Kit Lam who first wrote about it in Scientific American November 1991. 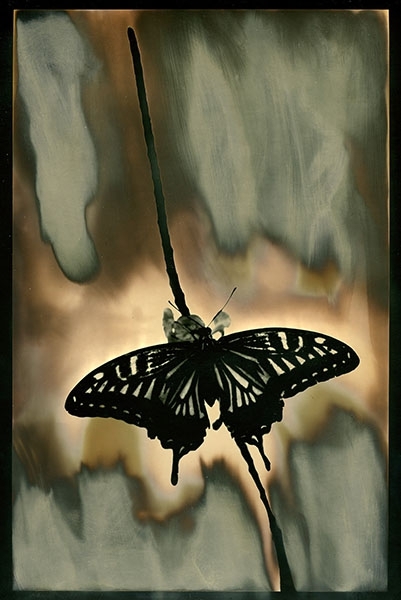 He discovered that if you process standard BW photographic paper partially in standard paper developer such as Dektol, then using various measures of Kodak Ektamatic SC Activator and Stabilizer (used in Kodak Royal Print processors in the past) while exposing the print to light (sabattier or solarization), that it was possible to create images with a unique color palette and in some instances with a interesting "silvering" effect. These chemicals in the presence of light will produce deep red-browns, blues, yellows, oranges, greens and even purple. As Kodak Ektamatic Activator and Stabilizer were both discontinued many years ago, Freestyle Photographic Supplies, with the technical assistance of Freestyle Advisory Board Member, Christina Anderson and Chromoskedasic Sabattier artist Alan Bean, has partnered with a prominent chemical supplier to bring these chemicals back to market so that the technique called Chromoskedasic Sabattier can continue. When Arista Premium BW Chromo Activator and Stabilizer are mixed together they will emit a strong non-toxic ammonia odor. We recommend using a standard vapor reduction mask you can purchase at a local hardware store when using these chemicals. List of Freestyle Tested Papers for the Chromoskedasic Sabattier Process, other papers and surfaces may work; they just have not been tested yet. The key is silver content , the higher the silver, the better the results. Arista Premium BW Chromo Stabilizer for Chromoskedasic Sabattier Process - 32 oz.